When you unpack your CPAP machine, it is perfectly sterile. Unfortunately, it will not stay sterile and clean for long. Studies have shown that items we come into contact with on a daily basis contain 400 times more microorganisms than a toilet seat. This is the main reason why you should regularly clean your CPAP machine and other supplies. If you do not clean and maintain your CPAP gear regularly and properly, all sorts of viruses and bacteria will accumulate on your equipment, which can cause health problems and complications. Failing to clean your CPAP gear properly can seriously affect your health, the effectiveness of your CPAP therapy, and the machine itself. Since dirty CPAP equipment cannot function properly, the effectiveness of your CPAP therapy will be reduced as well. 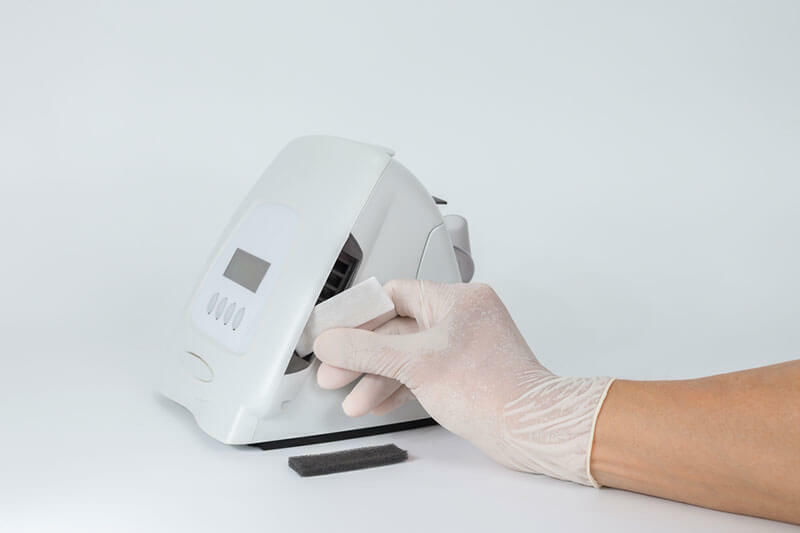 Fortunately, all these issues are easily avoided – all you have to do is clean your CPAP machine according to the manufacturer’s recommendations. For our list of the best CPAP masks on the market, click here.